C’Thun is especially tickled*** to lend you its aid: a Legendary C’Thun card and two Beckoner of Evil cards lie waiting to add the unutterable awesomeness of the Old Gods to your collection. Just open your first Old Gods card pack to collect these questionable new allies. 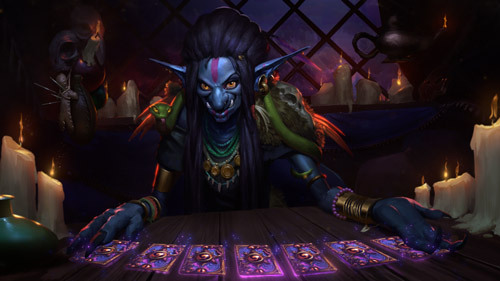 Starting March 15, you’ll be able to pre-purchase a 50-pack bundle of Whispers of the Old Gods card packs for €44.99/‎£34.99 (prices for Windows®, Mac®, and Android® devices) prior to the Expansion’s official release. Your dedication will be rewarded with a terrifyingly terrific new card back as a pre-purchase bonus! 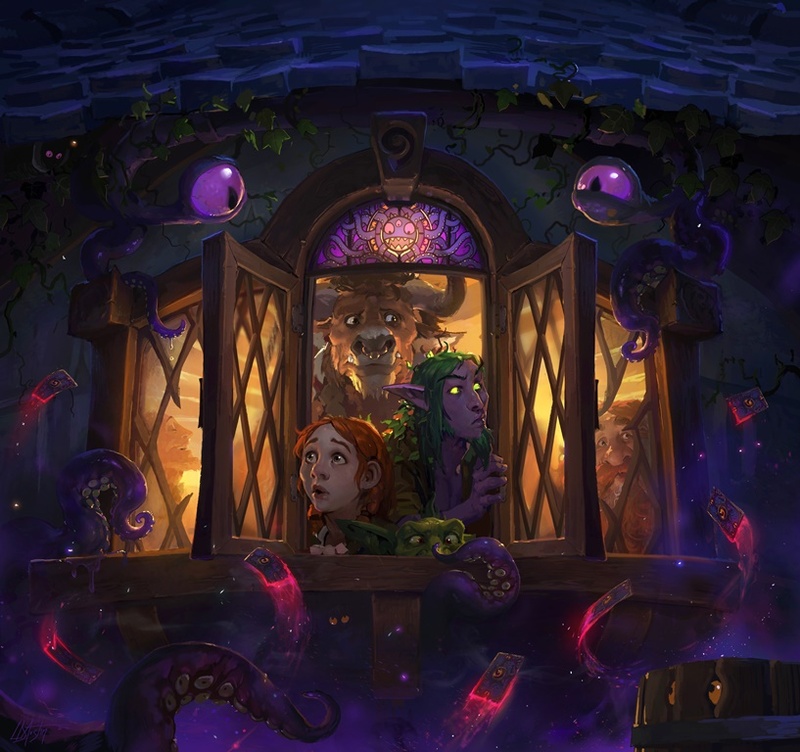 Whispers of the Old Gods will reach all mortal ears (and Windows®, Mac®, iOS®, and Android® devices) by late April/early May, and card packs will be available through the in-game Shop for either gold or real money at the same price as previous, less-tentacled, Hearthstone card packs. Don’t neglect to give shout outs to the #OldGods on social media—the Old Gods love Twitter shout outs. **Ancient Cosmic Power™ may cause side-effects including: growth of additional limbs, eyeballs, tentacles, and pseudopods, horrific secretions that are not of this world, frequent cravings for sea food, an attraction to strange ruins, sudden contempt for “pitiful mortals”, an influx of appalling destructive power, and mild drowsiness. Use as directed. ***How do you make an Old God laugh? Give it ten tickles.